After a resistance fighter and saboteur kills a bunch of Nazis, Hitler’s forces threaten to kill 100 hostages if the saboteur doesn’t come forward. Luckily for the hostages, a convicted murderer, Jean Picard (Errol Flynn, The Private Lives of Elizabeth and Essex), volunteers to play the underground fighter, but does he really want to sacrifice himself for the greater good? The film was directed by Raoul Walsh. He made half a dozen movies with star Errol Flynn. 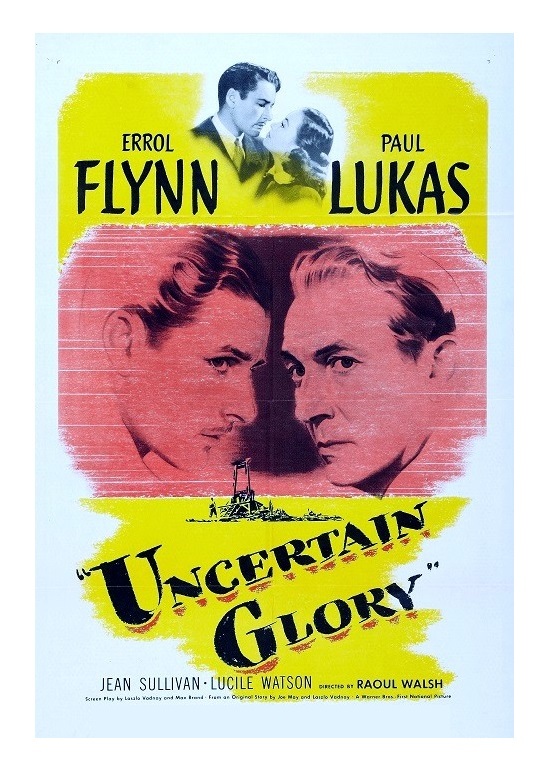 I’ve seen most of them, and Uncertain Glory is definitely their most intriguing movie together. Flynn, whose health problems made him ineligible for military service, was eager to support the war efforts through propaganda movies. The film could be interpreted as a reflection of the actor’s zeal to help the allied forces. Uncertain Glory argues that if your life is deemed of little value (? ), you must give it up for your country. Flynn’s character is a convicted murderer so it is assumed that his life is less worthy than the 100 innocent villagers held by the Gestapo. Mind you, this is a movie that vehemently rejects the Nazis’ belief that lesser lives are expendable, yet the good guys in the movie seem to be agreeing with the Nazis’ manufactured “natural selection” — it’s hard to ignore the film’s moral inconsistencies. 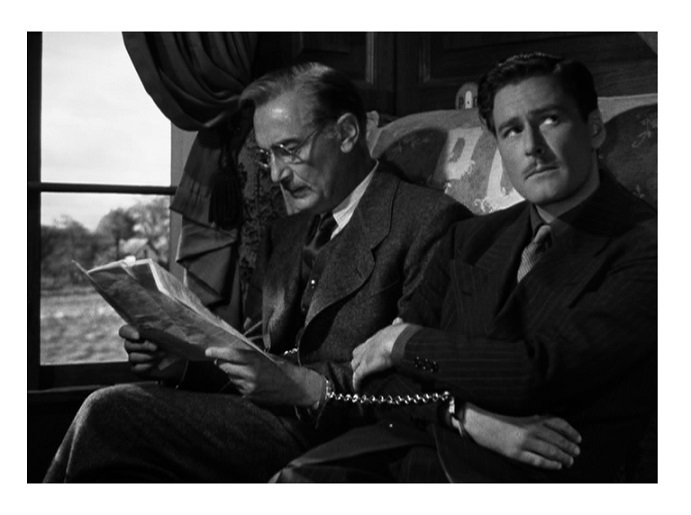 Never mind that, Flynn is very good and there are other fine performances as well throughout the excellent cast. Paul Lukas (Watch on the Rhine) co-stars as the cop who captured Flynn. Lukas Lucile Watson (The Great Lie) is an influential townswoman and Jean Sullivan (Escape in the Desert) plays Flynn’s love interest. There are many things I like about the film — the acting, the atmospheric cinematography, the music score, etc. — but the film’s storyline is a real head-scratcher. Uncertain Glory is a curious movie to say the least. I don’t know, but I found the film’s moral universe interesting if problematic. Flynn’s fans will undoubtedly enjoy it more than regular viewers. More important, the film offers a unique look inside the state of mind of WWII audiences. B&W, 102 minutes, Not Rated. I’m very intrigued by this one Eric. I do like those WWII films made during the war that have a batch of propaganda running through them but at the same time they try and either hide it or go off in a different direction. Recent ones I’ve enjoyed have been Hitchcock’s Saboteur (1942) Hangmen Also Die! (1943) and The House on 92nd Street (1945) to name a few. Dare I say, outside of Robin Hood, I don’t think I seen many or any of Errol Flynn films!! Yep shocking! Added to the “to watch list” Many thanks.